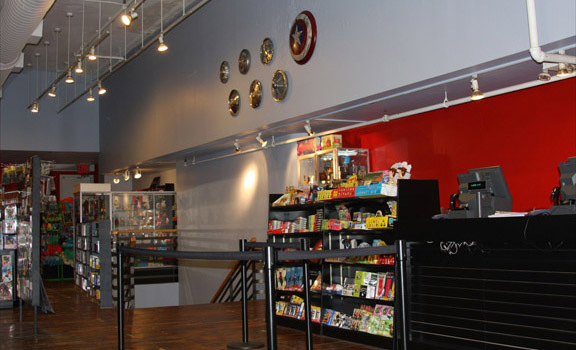 Comic Shop Travel Guide | it's yaytime! The word “Conversation” is the tipoff that this store has an intentionally warm and inviting atmosphere. Patrick Brower and W. Dal Bush are two extremely dapper gentlemen (I’ve never even seen a picture of them not in suits), and everything about their operation is classy, thoughtful, and well designed. In fact, if a comic shop could win an award for graphic design, Challengers would have it in the bag. The store is visually striking, like a White Stripes album cover, with their red bookshelves and matching chairs that encouraging hanging out. They often have gallery exhibits of original art, support local artists, and even have a drawing desk in the store for visiting cartoonists to use! 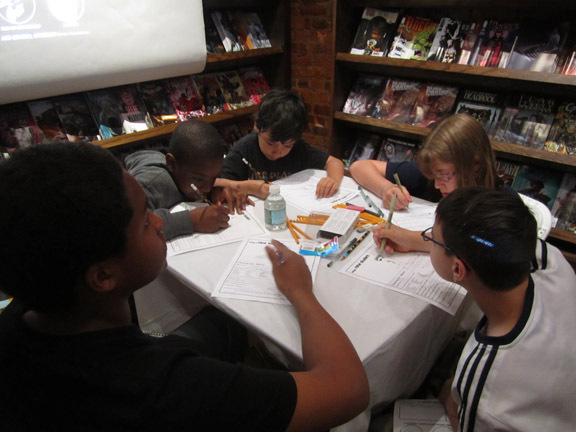 Their brand new Sidekicks store-within-a-store, dedicated to kids’ graphic novels, makes Challengers Comics + Conversation one of the most progressive stores in the country. 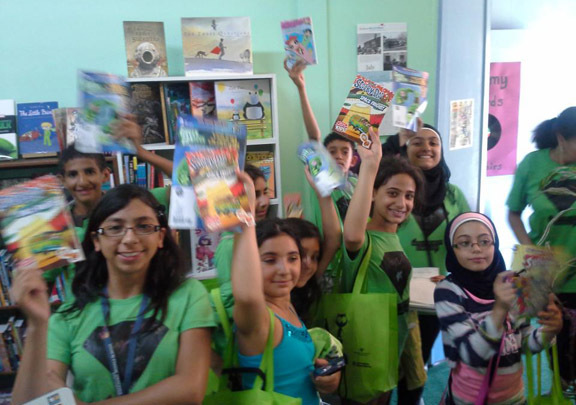 The first shop dedicated solely to kids’ comics, Little Island wins the grand prize for being awesome. Run by the wonderful folks at the Beguiling (the Toronto comic shop institution that is located just around the block), Little Island is probably the cutest little comic shop in the world. What they lack in square footage they make up for in charm and enthusiasm. Little Island has art classes for kids and assorted other activities that are helping promote the next generation of comics and cartoonists. Nearby recommendations: Lots of cute stores & nostalgia shops on Markham Street. 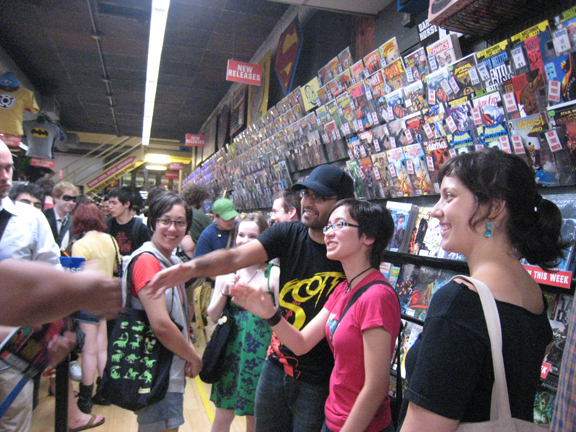 Honest Eds, as featured in the Scott Pilgrim series. Good food and cafes on Bloor! Portland, Maine is the definition of an adorable New England tourist town, complete with cobblestone streets, old brick buildings, great views of the harbor, lots of fresh seafood, homemade ice cream, and a comic shop that fits in perfectly. Recently celebrating their 25th anniversary, owner Rick Lowell is a community minded guy who has also created the Maine Comics Art Festival, a truly family-friendly comic convention that has been growing even more wonderful each year. Nearby recommendation: Mt. Dessert Island ice ceam parlor. Be sure to check out the “cereal milk” flavor! Ann Arbor is definitely an “I could totally live there” town, with an emphasis on supporting the arts, great local businesses, iconic landmarks, independent movie theaters, vegetarian friendly restaurants, one of the most progressive library systems in the country and all the perks of being near a large university (that even has a comic archive). Vault of Midnight, with its memorable blue entrance and “comics can be cool” vibe, has the perfect mix of books and toys, guaranteeing something for even the most critical tag-along. I always appreciate stores that have a staff picks section, and the one at Vault of Midnight always has a diverse lineup of choices. Nearby recommendations: Ann Arbor Art Center, the Ann Arbor District Library, 826 Robot Supply Store, lots of good restaurants along S. Main Street. 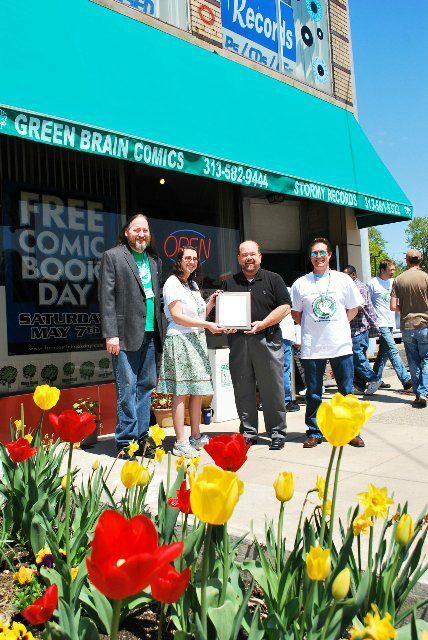 A bit off the beaten path (by which I simply mean, in the suburbs), Green Brain Comics has a long history of being a great comic shop with extremely loyal customers. 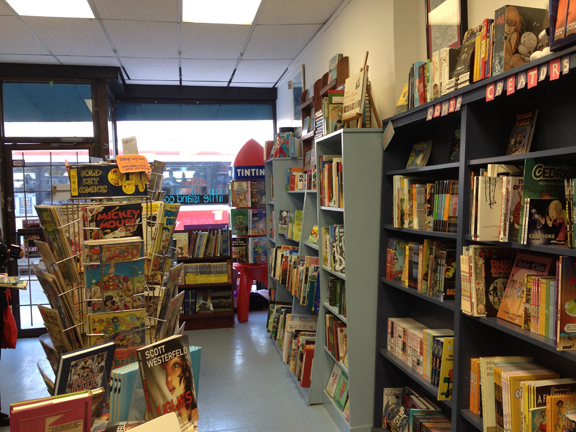 They have a great selection of old and new, superheroes and mini-comics, that you won’t find anywhere else. 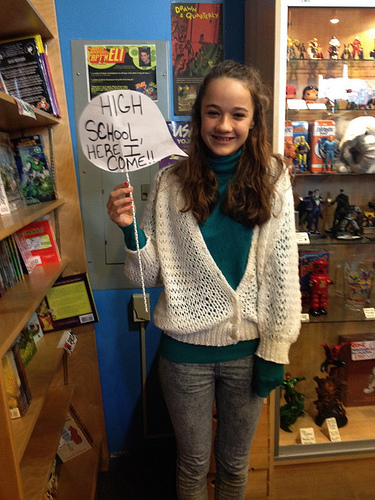 Many stores sell mini-comics but Dan & Katie Merritt, the owners of Green Brain, actually travel to indie comic shows around the country and specifically buy books from creators to sell at their store! Green Brain also hosts frequent drawing jams, contests, art gallery exhibits, and has long been a supporter of local artists. 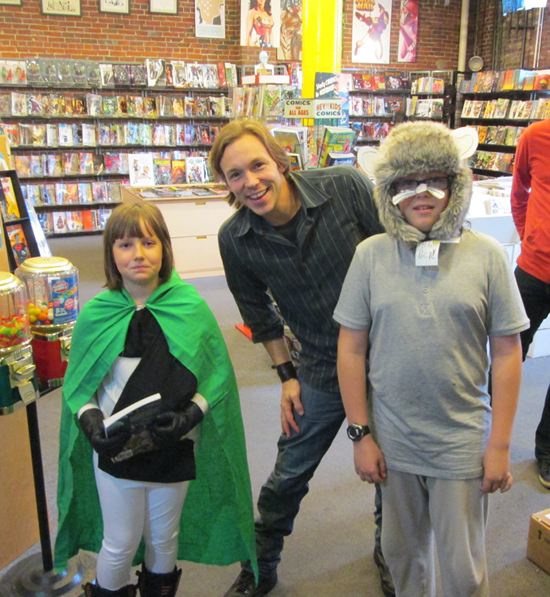 They have a fantastic Free Comic Book Day program and co-owner Dan Merritt is also one of the organizers of the annual Kids Read Comics festival. Nearby recommendations: Stormy Records, upstairs. Lots of places to get a “coney island” (aka a chili dog) in the neighborhood. Another case of perfect location, Star Clipper is on the same block as Blueberry Hill in St. Louis’ historical Loop entertainment district, making them extremely friendly to pedestrian and tourist traffic. For people wandering off the street, this store manages to feel spacious, well-stocked, and somehow magically uncluttered at the same time (a hard feet for a comic shop!). Lots of cool t-shirts and collectable vinyl toys. The staff could not be more welcoming. Nearby recommendations: Fitz Root Beer factory (includes a giant window to the factory so you can watch them bottle the sodas while drinking a giant root beer float). Blueberry Hill, restaurant and nightclub filled with one of the largest collections of toys and memorabilia (like classic lunch boxes). Includes a whole room dedicated to Pac Man! Duck out of Charlotte’s humid weather and into this spacious, friendly store filled with southern hospitality and a giant Doctor Octopus statue hanging above the register! The fine folks at Heroes Aren’t Hard to Find are also responsible for the popular Heroes Con, a summer favorite of cartoonists from all over the country (and not just because they have a giant barbecue party in their parking lot after the convention!). Nearby recommendations: It’s hard to do much in Charlotte without a car, but if you’ve got access to wheels, seek out Mert’s Heart and Soul downtown for the best cornbread we’ve ever eaten. 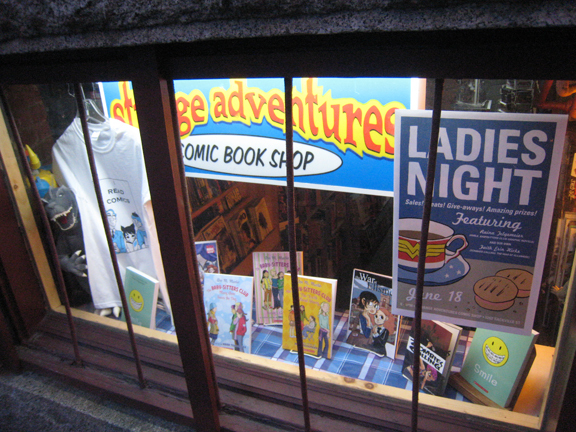 Up the hill from the harbor in one of Canada’s most idyllic cities, Strange Adventures is a wonderful business run by a man who loves comics more than just about anybody: Cal Johnston. 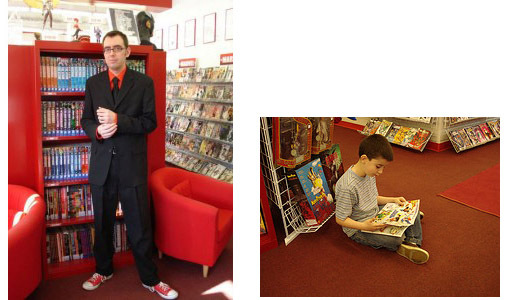 He supports local and traveling talent, regularly hosts Ladies’ Night parties, gives fabulous discounts on products, and generally serves to introduce comics to as wide an audience as possible. He recently opened a satellite location across the water in Dartmouth, a tiny but adorable storefront that happens to be in the same neighborhood as some of the best croissants in North America. Take the ferry and make a very pleasant afternoon of it. Nearby recommendations: Seaport Farmer’s Market on weekends, in Halifax. Two if By Sea for the best croissants, in Dartmouth. 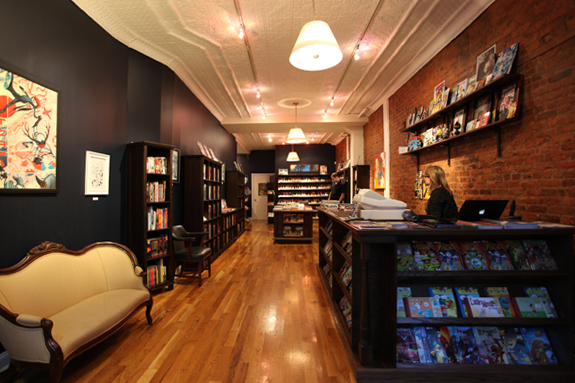 The coolest and coziest little comic shop in Brooklyn! 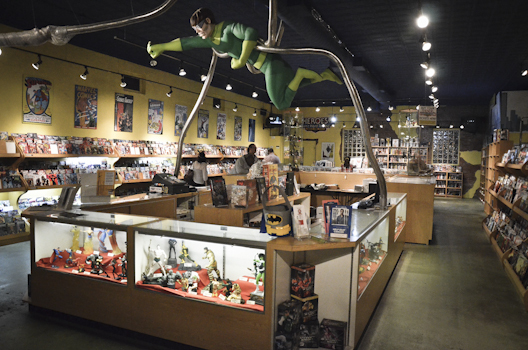 With its brick walls and giant wooden table, this store has changed a lot of peoples’ idea of what a comic shop is all about. 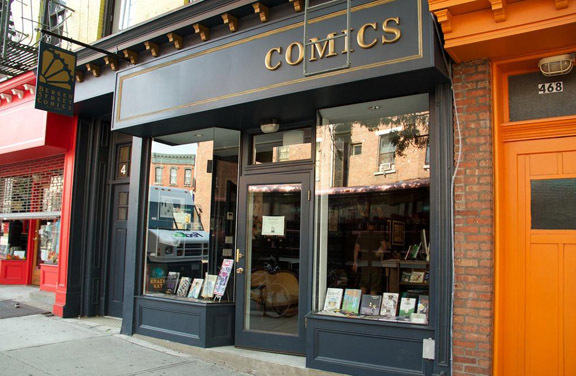 If you want to convince your parents that comics can be a classy business, this is the place to take them. 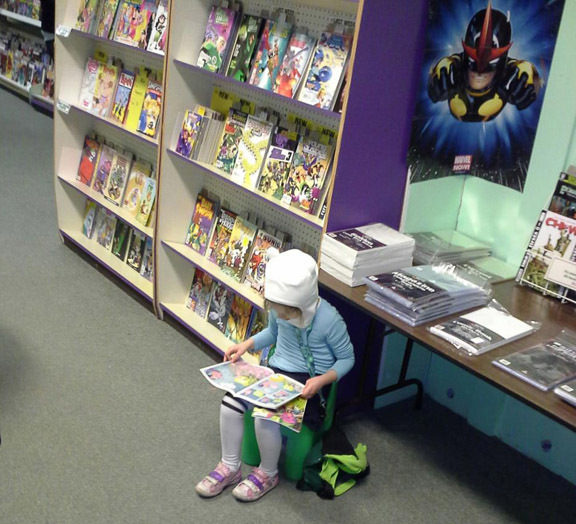 Bergen Street has a wide selection of current superhero comics, along with the best in graphic novels for adults and kids, and everything in between. Bergen Street often has book release parties on the weekends with wine for the adults and juice boxes for the kids. It’s in one of the nicest parts of Brooklyn, only a few stops from Manhattan, and once you’re in that neighborhood there are plenty of unique restaurants and stores to check out. Nearby recommendations: Ample Hills Creamery (homemade ice cream), BKLN Larder cheese shop (foodie paradise). 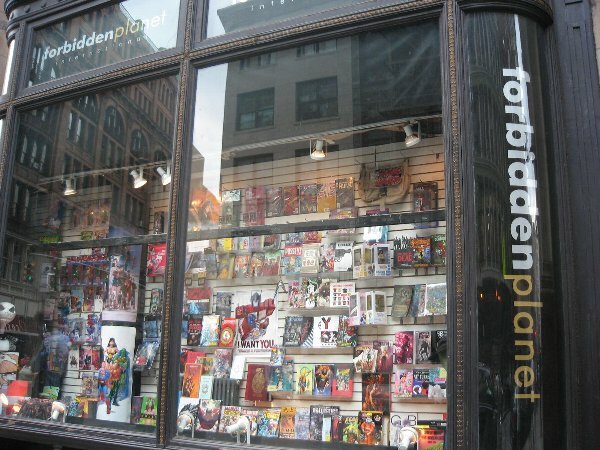 Located right next door to The Strand (a NYC bookstore institution), and at the edge of the East Village, the newly expanded Forbidden Planet has beautiful shelves and lots of space! Great selection of graphic novels, books, DVDs and collectable statues. Bring your Doctor Who loving friends here and they will have a field day. Nearby recommendations: Union Square Farmers Market. 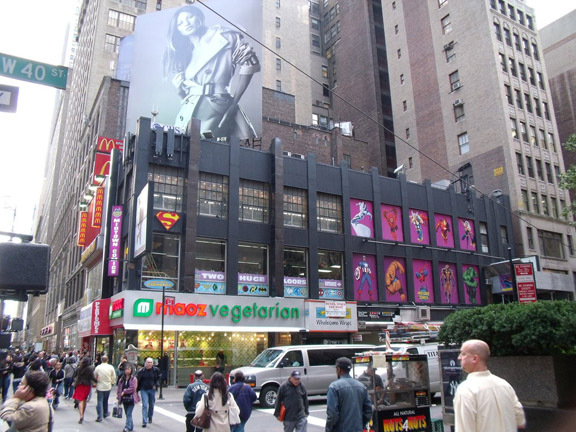 In NYC there are ton of amazing comic shops to choose from, and the Midtown Comics in Times Square is easily the largest and most well-stocked comic shop of them all. If they don’t have it, they can certainly get it! 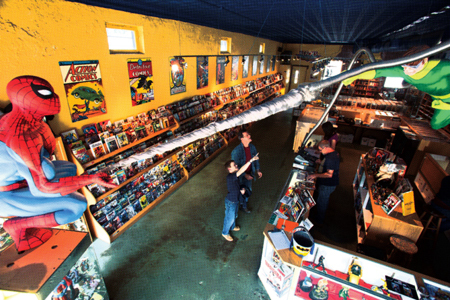 You could easily spend hours browsing huge collections of graphic novels, manga, toys, and random bootleg videos. Nearby recommendations: Maoz Vegetarian Food right below the store is super cheap, healthy, and delicious. Hopefully I’ll be able to add to this list as I discover additional comic shops in the years to come. If you want to find additional comic shops you should check out the Comic Shop Locator service and the Will Eisner Spirit of Comics Retailer Award.